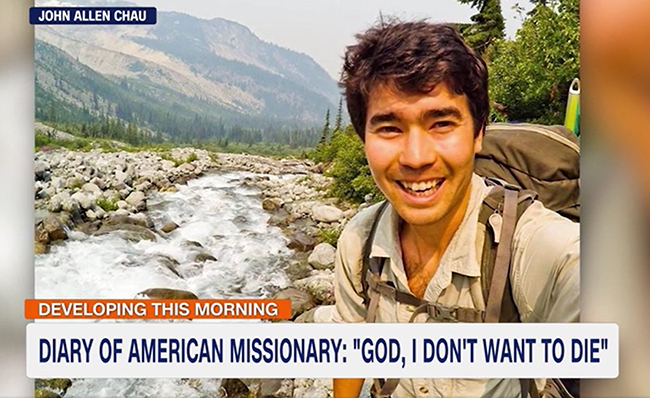 American missionary John Allen Chau apparently was killed this month by the Indian people group he sought to reach with the Gospel. Screen capture from CNN. 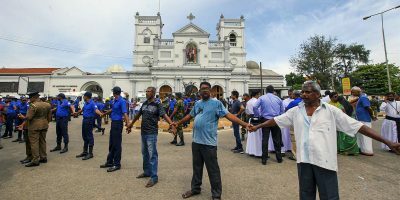 ANDAMAN ISLANDS, India (BP), Nov. 26, 2018 — The last reported sighting of American missionary John Allen Chau was Nov. 17. Fishermen off the coast of India’s North Sentinel island spotted what they thought was his lifeless body being dragged across the beach and buried by members of the Sentinelese tribe. The Sentinelese are an isolated people group known to rain down arrows on outsiders who visit their home island in the Bay of Bengal. Though he knew the danger, Chou, 26, went as a missionary to the Sentinelese because they are reportedly among the world’s 400-600 unengaged unreached people groups (UUPGs) that have no contact with the outside world. In all, approximately 3,200 of the world’s 11,576 people groups are defined as UUPGs. “You guys might think I’m crazy in all this but I think it’s worthwhile to declare Jesus to these people,” Chau wrote in his last note to his family, according to media reports. Chau’s apparent death has drawn reports in major media outlets across the world and has sparked discussion among evangelicals. While there has been nearly universal agreement among believers about the heroism of Chau’s effort to reach the Sentinelese with the Gospel, mission strategists continue to discuss the wisdom of his methods. Was Chau’s landing on North Sentinel island via kayak and subsequent announcement of God’s love to the Sentinelese “the best strategy?” asked Keith Eitel, dean of the Roy Fish School of Evangelism and Missions at Southwestern Baptist Theological Seminary. “We don’t know.” Yet to be seen “is the inspirational impact of such a martyrdom,” he said, noting the impact of the 1956 martyrdom in Ecuador of missionary Jim Elliot and four of his colleagues when they tried to reach an uncontacted UUPG. According to the missions website JoshuaProject.net, the Sentinelese are “dark, tall people who hunt, gather, and fish” and are “completely isolated from the rest of the world.” Attempts by the Indian government to make peaceful contact were met “with arrows and stones,” so “the Indian government now leaves them alone and entering the North Sentinel island is not allowed.” PeopleGroups.org, another missions website, reports the Sentinelese practice “ethnic religions” and not Hinduism or Islam like many other Indians. 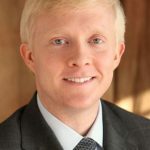 “Could there be some of these people” living outside the people group’s isolated community “that could be reached and then could actually then themselves go back in safely” to “open the door” for missionaries “to come behind them?” Eitel asked. If not, perhaps someone from a group with a “cultural kinship” to the uncontacted UUPG could help.